Newmont Mining (NYSE: NEM) is primarily a gold mining company which historically had a considerable presence in copper as well. However, post the sale of its Indonesian copper mines, the company has been predominantly focusing on its gold operations by investing in projects that would lower the company’s overall cost and secure productivity gains. Despite these efforts, lower output from the company’s exhausting Yanacocha mines is expected to result in a decline in revenue of ~4% in 2018. 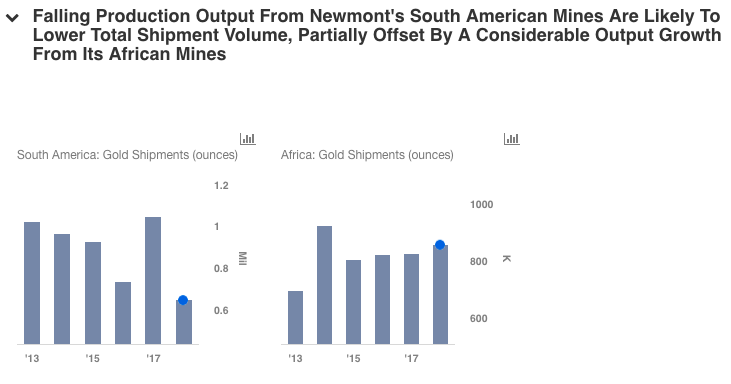 Newmont’s Yanacocha mines in South America are expected to display a considerable fall in production due to its lower mill grade and lower leach tons placed in 2018. In 2017, the company’s South American operations experienced a significant boost in output due to the first full-year of commercial production of its Merian mines. However, production volume is likely to decelerate by more than 30% in 2018 as a resultant impact of the exhaustion of Yanacocha. The company reported its South American mines to have a total mine reserve of 6 million ounces in 2017, the lowest among all the other locations. However, on the optimistic side, the company’s African mines are expected to remain a highlight in driving the company’s revenue in 2018. Shipment volume is expected to receive a significant boost from the mining improvements at the Subika open pit and commencement of commercial operations of the Subika underground by mid-2018. The first production of the mines was achieved in June 2017. The mine is expected to have an average annual gold production of 150,000- 200,000 ounces per year for the first five years from 2019, with an initial mine life of ~11 years. Despite the above offset, the company is likely to experience a decline in total shipments by ~6% in 2018 which is likely to result in a fall in Newmont’s total revenue by ~4%. However, plausible upside remains given gold continues to outperform our assumed price levels throughout 2018. We have outlined the key drivers of Newmont’s revenue using our interactive platform. Have more questions about Newmont Mining? 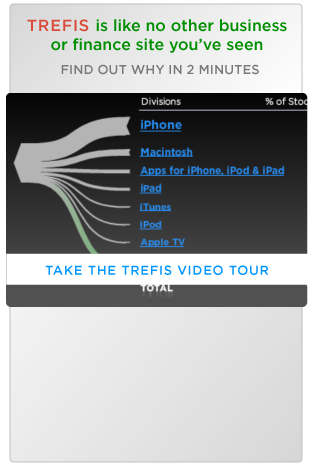 See the links below. How Sensitive is Newmont’s Valuation To The Changes In The Price of Gold?